Have you been thinking about doing eBay online shopping, but are not sure how to do it or where to start? Not a problem! This easy to understand guide will show you exactly how to do your online shopping on eBay in a clear way that anyone can understand. Once you are set up, you can begin to save money right away and have fun browsing through the items for sale. You don’t have to be a computer whiz to enjoy the benefits of eBay online shopping, a great method of saving money on just about everything that you are looking for. As you probably know, eBay is a huge website with countless items for sale. You may have wanted to shop on eBay but were not sure where to begin. eBay online shopping is easy that you may think, so let’s get started. The first thing to understand is that eBay is set up so that when you see something you like, you bid on the item. It is very similar to an auction. Other people may be bidding on the same item as you are. You will have complete control over how much you wish to pay. You will also want to know if the person who is selling the item is trustworthy and this is easy to find out also. First, you will need to setup an account for yourself. This must be done in order for any transactions to take place. So before you begin to look for anything to bid on, do set up an account first. Just follow these steps: On the eBay’s homepage, click on the link that says “Register”, it is located in the upper left hand corner. This will bring you to a registration page. Simply fill in the fields. Be sure to enter an email address that you check on a regular basis. When you choose a user name and password, be sure to write it down on a piece of paper in case you ever forget it and put that in a safe place. To begin eBay online shopping, eBay will send you a confirmation email, it is simply an email with a link inside that you must click on, which proves that your email address is valid. Once you do this, you can begin shopping! Next, you can look for items to buy. You may look for specific items by clicking on the “Buy” button in the upper right hand corner of the screen. You can then type in the name of what you are looking for. It is best to keep it simple, in order to see many results. For example if you are looking for a blue stained glass 12 inch lamp, you can search for “stained glass lamp” and then see all of the results. If too many results are shown, you can then make it more specific by searching for “blue stained glass lamp”. If you click on “Advanced search” you can look for items by location, payment options and more. If for any reason you do not see what you wish to buy, you can click on “Want it Now” and eBay will let sellers know what it is that you are interesting in buying. You can also go “window shopping” and simply browse around by searching by categories. When you do find an item that you wish to bid on, it is suggested to look to see how the seller has been rated. This is called the “seller’s eBay history” and it will let you know what other people have said about the items that they have purchased from that person. If the seller has a good reputation and good feedback, you can then feel comfortable bidding on the item. Just click on “Place Bid”. You should enter the maximum amount of money that you are willing to pay. eBay online shopping will let you know if someone already bid higher than you. 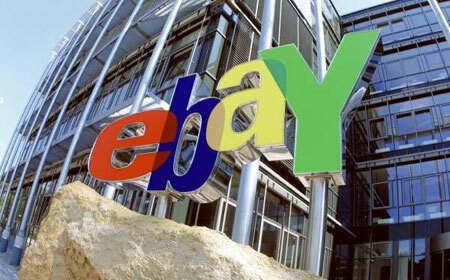 If not, eBay will automatically increase your bids to outbid others, up to that maximum amount that you entered. And eBay online shopping is as easy as that!